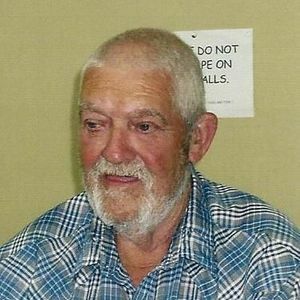 DRAKESBORO - Oscar Lee Allen, Sr., age 79 of Drakesboro passed away Saturday surrounded by his family at home. He was born April 17, 1936 in Ohio County to the late Vernie and Nettie Allen. He retired from Young's Manufactory. He was a member of Union Chapel Baptist Church. He was preceded in death by his loving wife Margaret Allen, sister's Barbara Cardwell, Donnie Autry, Dorothy Douglass and brother Billy Allen. Survivors include daughter Mary (Eddie) Brake and sons Tex (Tammy) Allen and Oscar (Teresa) Allen all of Drakesboro. Grandkids Misty (Robert) Hambrick, Sarah (Brad) Owens, Stephanie (Mikey) Gish, Tracy (Scott) Stalker, Eddie Lee (Kristy) Brake, Ashley(Shawn) Lynch Kristi (Dillon) Zick, Kayla Allen, Tex Allen, II, Oscar Lee Allen, III; Great-grandkids Jason Hambrick, Carley Owens, Eddie Lee Brake, Jr., Jack Owens, Cameron Gish, Jessica Griffin Abby and Johnna Carnithan, Kyleign Lynch and Emersyn Lynch. Great-great grandkids Easton Griffin, Addison Linkous. Siblings Mary Ruth Rowe, Mardell Everley, Patsy Simpsons, Bonnie Matthews, Carolyn Allen, Jeanetta Simpson, Connie Allen, Several nieces & nephews and many friends and neighbors. Funeral services will be Tuesday, November 24, 2015 at 2 PM at Tucker Funeral Home in Central City with the Rev. Robert Lindsay and Rev. Fred Harrison officiating. Burial will be in Mt Zion cemetery in Central City. Visitation will be held on Monday, November 23, 2015 at 5 PM at Tucker Funeral Home in Central City. Online condolences can be made at www.tuckerfuneralhomes.com. Create An Online Memorial For Oscar Lee Allen, Sr.
Tex, Tammy, Oscar, Teresa, Misty, Robert, Jason and to all of the other family. We are very sorry for the loss of your father, father In-law, and grandfather. I didn't know Oscar Sr. very well but Kevin did and he said he was a good man. We will keep you all in our thoughts and prayers. May God give you comfort and strength during this difficult time.